Our special edition of the best places to go with kids for New Years Eve explores the top spots to count down to 2015 in Australia and around the world with your family. 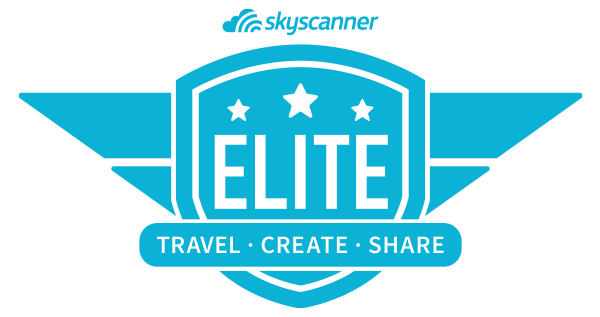 From the glitzy world of Disney World, to the natural beauty of British Columbia, we got you covered. For Aussies, it’s all about rolling out a rug and topping up the esky to watch gorgeous fireworks with friends. There’s something about celebrating New Years Eve in the Northern Hemisphere. It maybe the crisp winter air, the collective warmth you get in large crowds of jovial people or the the clear skies that reveal a constellation unfamiliar to our own. If you are going to do an amusement park, pick the happiest place on earth at the happiest time of the year. 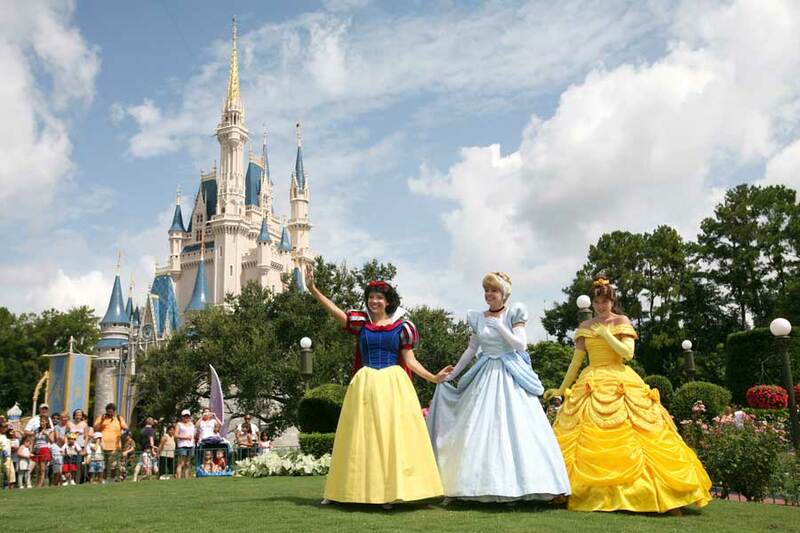 Disney World in Orland Florida is the best place to go with kids for New Years Eve 2014. Even adults get swept up in a whirlwind of whimsy and wonder. If the reality of large crowds, long queues and hiked up prices is pulling you away from magic of Disney, you need only to add one more word to the mix… Frozen. 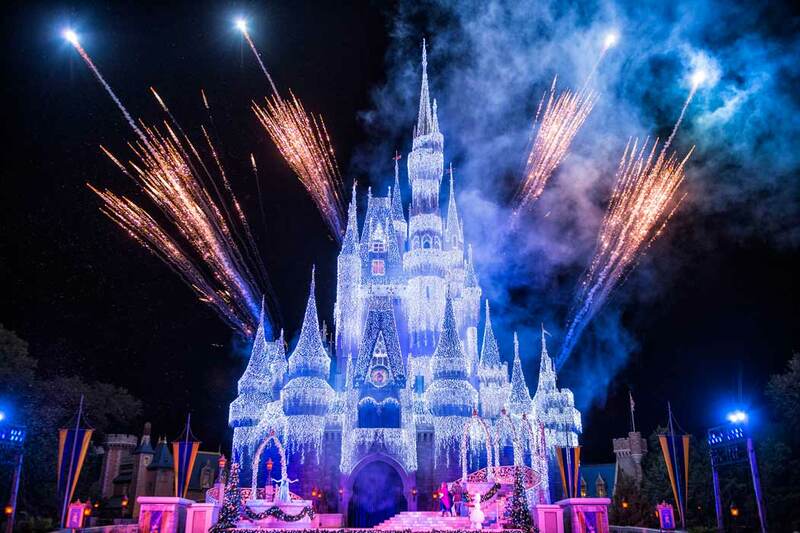 Just like he movie Frozen, Queen Elsa is joined by Princess Anna, Kristoff and Olaf in a “Frozen Holiday Wish” stage show to transform Magic Kingdom’s, Cinderella Castle into an ice palace adorned with 200,000 white lights. The spectacle incorporates illuminated special effects and fireworks. It’s taking the Frozen obsession to another level with the kids. Countdown at Magic Kingdom with extra fireworks shows during the evening, capped off with the “Fantasy in the Sky” spectacular at Magic Kingdom. With dazzling colours and fireworks choreographed to the all to familiar Disney music, it’s simply stunning and personally some of the best fireworks I’ve ever seen. 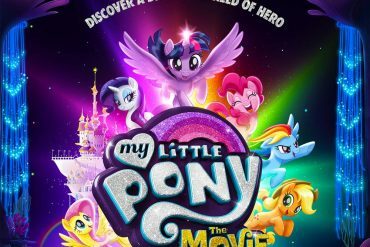 To give everyone an opportunity to view the fireworks show, Disney presents two shows on December 30th and December 31st. This allows visitors to take in the other impressive fireworks at the three other Disney World theme parks: Epcot, Hollywood Studios and Animal Kingdom. Young kids will feel right at home with most of the iconic rides suitable for toddlers. Take a spin in a tea cup, ride a magic carpet, sing along on a boat journey through It’s a Small World, walk through the Monsters Inc’s Laugh Floor and fly through the air on Dumbo, just to name a few. Older thrill seekers can ride in the dark through Space Mountain or get wet at Splash Mountain. Princess fans can visit the Princess Hall and meet their favourite Disney Princess including: Cinderella, Repunzel, Princess Anna and Queen Elsa. For a more intimate experience, dine with Winnie the Pooh and his friends, if you’re lucky enough Mickey might make an appearance. There’s no mistaking the queues will be long which is not a particularly great with young kids. Fast Pass allows you to plan ahead and pick a few select rides to queue jump, kind of like checking into a flight from home. If all else fails, you can always grab a jumbo Turkey leg to munch on whilst wrangling kids in line. 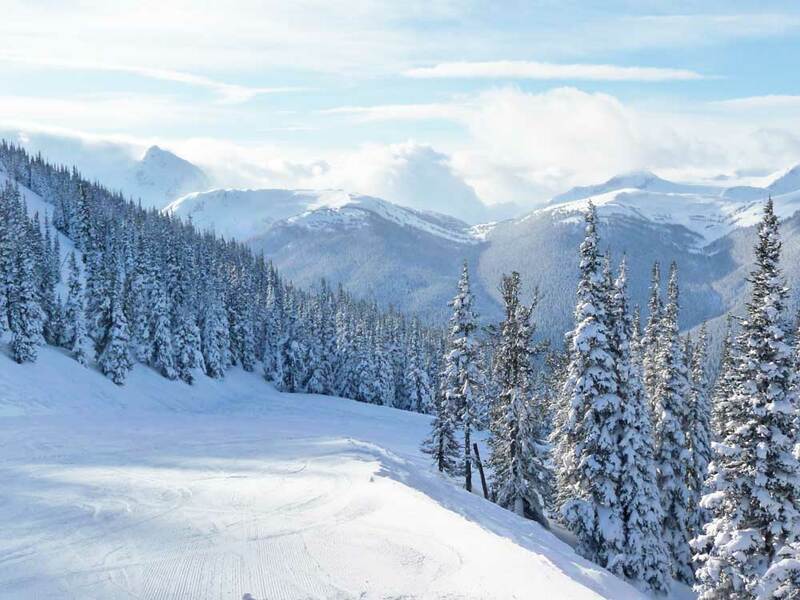 It’s the peak of the ski season and what better way to ring in the New Year than on a family snow holiday at Whistler, once host to the Winter Olympics. What makes Whistler the most perfect family ski resort it’s warm Canadian hospitality, it’s beautiful, relaxed and unpretentious. Perhaps the reason why there are so many Aussies working there. Whistler offers plenty of accommodation options ranging from super luxe to basic self contained choices. The village is picture perfect nestled in the valley of two mountains of Whistler and Blackcomb. Whistler offers variety of ski runs suitable for beginners to complete pro. 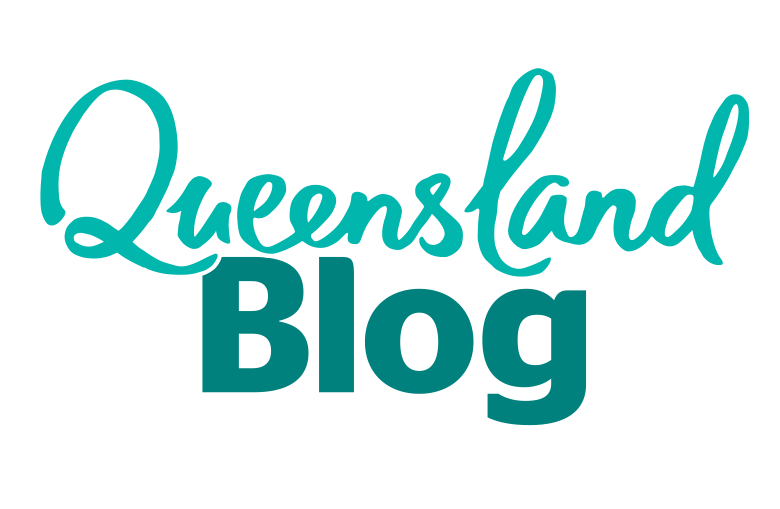 Just for New Years there are many family friendly, events and activities planned for families. Whistler has organised New Years Eve entertainment, games and activities across the resort. There will be live music, a teen disco, arts, craft, face painting and an indoor play zone. For little ones that cannot hold out for the extended Fire and Ice Show capped off by midnight fireworks. There are two earlier countdowns that ends in a giant bubble wrap and balloon stomp, which in the eyes of a toddler is way better. As well as organised events, there are plenty of bars, restaurants and hotels that have put on their own New Years Eve festivities. At Whistler kids can learn to ski from age 3, lessons start at 9am and finish at 3:30pm. That’s allot of time for mum and dad to also hit the slopes. 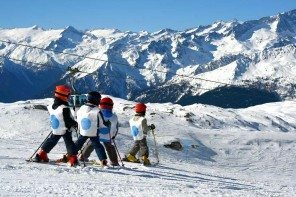 The beauty of ski lessons is that the kids can learn to ski from skilled instructors in a safe environment at one of the best snow resorts in the world. There’s still time afterwards to bond as a family and flexible arrangements are available to learn to ski. Choose from one day, 3 days or weekly lessons. If your child is not ready for the slopes, casual childcare is offered on-mountain for toddlers aged 19 months up. As well as long wide open nursery runs, adding to the family friendliness of Whistler, there are designated slow zones at the base of the mountains and a Family Zone to ensure little ones have a safe place to ski and play in the snow. On both mountains there are free kids outdoor play areas, a Tree Fort on Whistler and the Magic Castle on Blackcomb. Pay a little extra (by the hour, a child 3 and under $14) and you get access to the huge Coca Cola Snow Tube park with 7 large tube lanes to choose from with varying speeds, it’s also open at night for some pre-dinner family Apres fun. There’s also dog sledding, sleigh rides, zip lining, snowmobiling and outdoor ice skating for the family to enjoy. Take a stroll along the narrow cobblestone streets of Cesky Krumlov during a winter’s night, when this pretty little town is faintly aglow with warm street lights and the Rennaisance buildings are dusted with snow. It’s magical and why this exquisite Bohemia town is a must to visit. 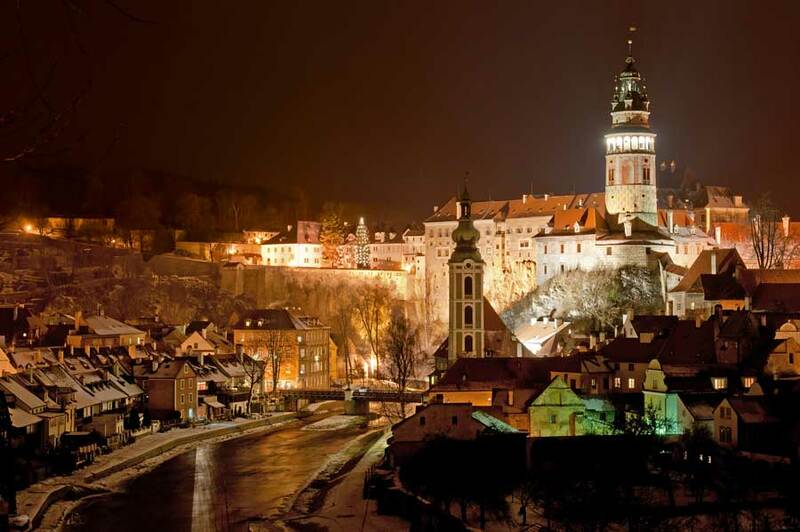 Cesky Krumlov is particularly elegant and quiet in nature during winter, however it puts on a lovely family friendly party for New Years Eve. As if this place isn’t pretty enough, gather in the historic center of Krumlov where your little family counts down to 2015 surrounded by beautiful world heritage listed buildings and midnight fireworks overhead. Just be sure to rug up. A more family friendly option is to book well in advance, a pension that has views over the town. That way you can ring in the New Year in the comfort of your own self contained accommodation, where kids are warm and beds are nearby. You cannot take a bad photo in Cesky Krumlov, with opportunities around every turn and there are many turns around the winding old town. The historic centre sits on a bend on Vltava River with Krumlov Castle towering above. The best part of holidays with kids is roaming. Wonder the streets and gradually work your way up to the castle, duck into quaint souvenir shops, museums and restaurants along the way. Step into medieval times with the kids and explore a wonderfully preserved castle, with stunning views of the town and river below. Before heading inside, kids can check out the bear pits where four brown bears guard the castle, a tradition dating back to the original Rosenberg Family’s coat of arms of two guardian bears. Inside are large garden courtyards with elaborate gothic fountains, a beautiful bridge with a series of arches that frames the town below perfectly, elaborate rooms with original period furniture and the famously restored Baroque theatre which has all it’s original machinery and ostentatious decorations. Cesky Krumlov is dotted with many restaurants that are set in underground cellars with vaulted ceilings, creating a relaxed yet intimate dining experience . During New Years reserve a wooden table at one of the popular restaurants and feast on set medieval menus with platters of tender meat, roasted potatoes and vegetables and washed down with czech beer. Aussies know how to ring in the New Year, what I love about celebrating on New Years Eve at home is being with family and friends without the stress and expectations that comes with Christmas. It’s all about finding a perfect spot, stocking up the esky with drinks and nibbles and taking that moment to both reflect and look ahead to a bigger, better New Year. If that perfect spot has view of a magnificent fireworks display, even better. 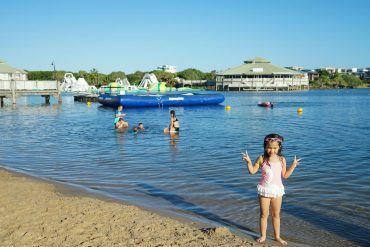 Sydney has featured before on our Best places to go wit kids in September, but it has to be mentioned again for the New Years Eve edition. 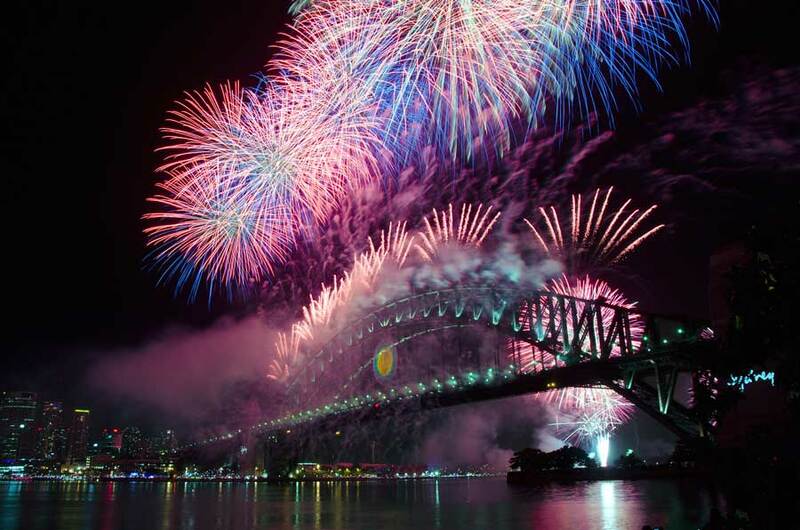 Sydney lay claims to having the best fireworks display in the world. 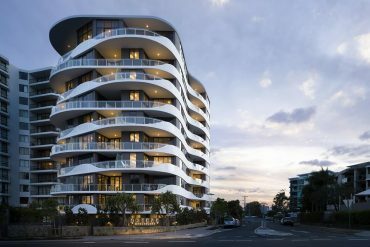 Try as you might to cut this tall poppy down, Sydney know’s it’s got the goods to be best place to go with kids for New Years Eve in Australia. It’s a beautiful city that really knows how to rock New Years Eve festivities. This is really a hard thing for a Melbourne loving, Brisbane living girl to say. With plenty of vantage points along Sydney Harbour, Sydneysiders are spoilt for choice as to where to watch the spectacular 12 minute midnight fireworks in Sydney. Plan ahead, get in early to stake your spot. Then all you need to do is pour the bubbly, get out the kids glow sticks and watch a wonderful choreographed display of pyrotechnics. The cherry on top is the anticipation of the Sydney Harbour Bridge Effect revealing the message for 2015. Kids don’t miss out with earlier fireworks at 9pm and 10:40pm. Staking out a fireworks spot can be boring for kids, luckily at 6pm and 8pm kids can stifle the boredom by gazing as airplane perform thrilling aerobatic displays overhead. By far the best place to watch the fireworks is on Sydney Harbour. If you have lucky enough to have a boating friend that will take you out, I’m jealous. There are other options to get out on the harbour, reserve a private New Years Eve cruise on various boat charters or if you book well well in advance there is a Sydney Harbour Ferry that operates a special New Years Eve package. It departs from Circular Quay to Manly before transferring to a docked Sydney Harbour Ferry to view both the early and midnight fireworks. 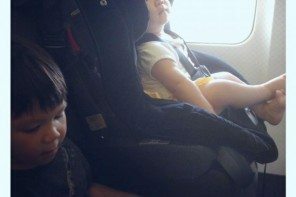 A good option for kids as you can leave at anytime should the kids get sleepy. Pack a picnic and ring in the New Year at Taronga Zoo with a stunning view back towards the Sydney Harbour Bridge and the fireworks. The kids will be too excited to fall asleep as some zoo animals will be on display until dark. 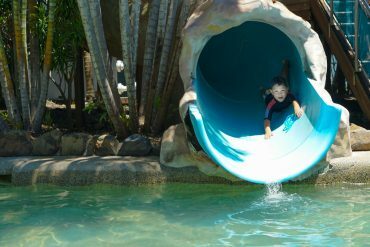 It comes at a price with the cheapest package for a family of 2 adults and 2 kids, costing $460 (kids under 3 are free). Not surprisingly though, these tickets have sold out. However, something to consider for next year. There are not many months in the calendar where Tassy’s weather shines, January is the best time to go with kids. With clear blue skies and warm sunny days, the pretty little island off Australia shows off it’s natural beauty. There are mountains to hike, markets to browse, fresh local produce to taste and clear blue waters to admire. 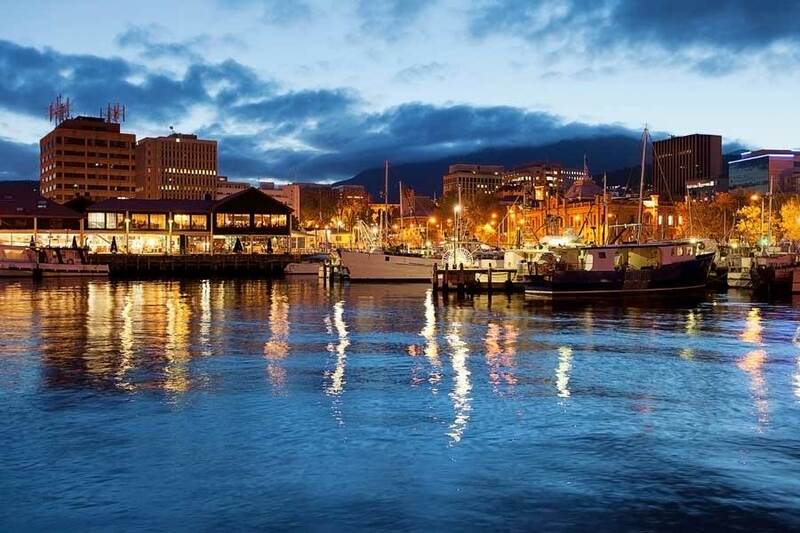 For New Years Eve, the capital city of Hobart is the place to be, putting on a family friendly bash that rivals the big cities on the mainland. The Taste of Tasmania is the big New Years Eve event in Hobart centered around food and wine. General admission is free and you can wonder around purchasing samples of international cuisine with a focus on the local Tasmanian produce. There are also local wines, ciders and beers for mums and dads. If you are up for the challenge, you can take part in a guided food tour where you sample from a set menu from stalls around the area. Or book a table and sit shoulder to shoulder on shared tables at Pier 1 and sample the finest local drop The only family friendly part of this is that each tasting runs for approximately 45 minutes, with water views and careful planning (crayons, snacks or iPad) it can be manageable with young kids in tow. Don’t worry, kids have not been left out, with plenty of organised activities for the kids. There is a ticketed New Years Eve part from 7pm, however with little ones it’s better to join the families around Sullivan’s Cove or find a spot near Parliament Square (Kids in the Park) to watch the fireworks. Kids in the Park is the family friendly New Years event run by Taste, jam packed with free activities for the kids. Kids can come along dressed in this years theme of “On The High Seas” to win prizes. Families can join in on activities lead by instructors, have their face painted, make a sea themed hat in the craft tent, sing, dance and make music, watch a circus performance and even test out their culinary skills in the kids kitchen. There are jumping castles, kids rides and even a pop up tent with wildlife creatures to meet. On New Years Eve they’ve extended the live entertainment with nautical themed performances in the theatre and around the lawn. To top off a great line up of New Years Eve festivities, roll out the rug and watch Peter Pan at twilight (commencing 6.30pm). The early fireworks begin at 9.30pm with the grand finale at midnight. With Sydney to Hobart grand yacht race complete, you will find boats at Constitution Dock. Worth a quick stroll to see the fastest and finest yachts in the country and makes for a pretty picture. If battling the crowds is not your thing, then head to Lord Howe Island a World Heritage listed island, off the coast of New South Wales or a 2 hour flight from Sydney or Brisbane. Whilst there are no glitzy fireworks in sight, there is the dramatic landscape of pristine forests, untouched coves and remote beaches. 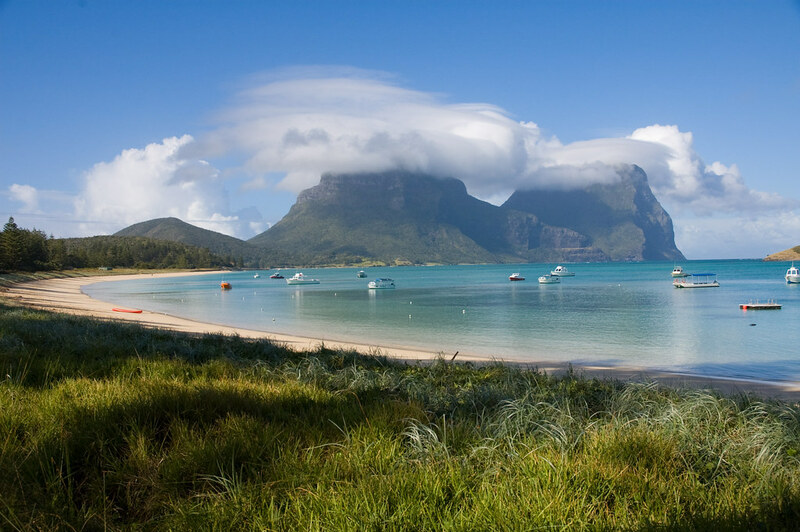 Also on offer are big bagging rights, Lord Howe Island is the first place to see the sun rise on New Years Day. With only 400 residents on the island, there is no getting in early, wrangling kids on public transport, queues to the toilets or marking your spot hours ahead of time on Lord Howe. Head to Ned’s Beach, pack a picnic, some beach toys and sparklers to count down New Years Eve with your family. Whilst you wait, kids can hand feed the wild fish in the clear blue waters. Fancy a snorkel at Ned’s Beach but didn’t bring the snorkeling gear? No worries, there’s an honesty box where guests can make a contribution towards the use of the supplied snorkel gear. It’s that kind of a place. There are spectacular beaches around Lord Howe Island, from dramatic Billy’s Beach which offers white sands and rolling waves against a rugged cliff face to the sheltered Salmon Beach protected by a coral reef in the distance. 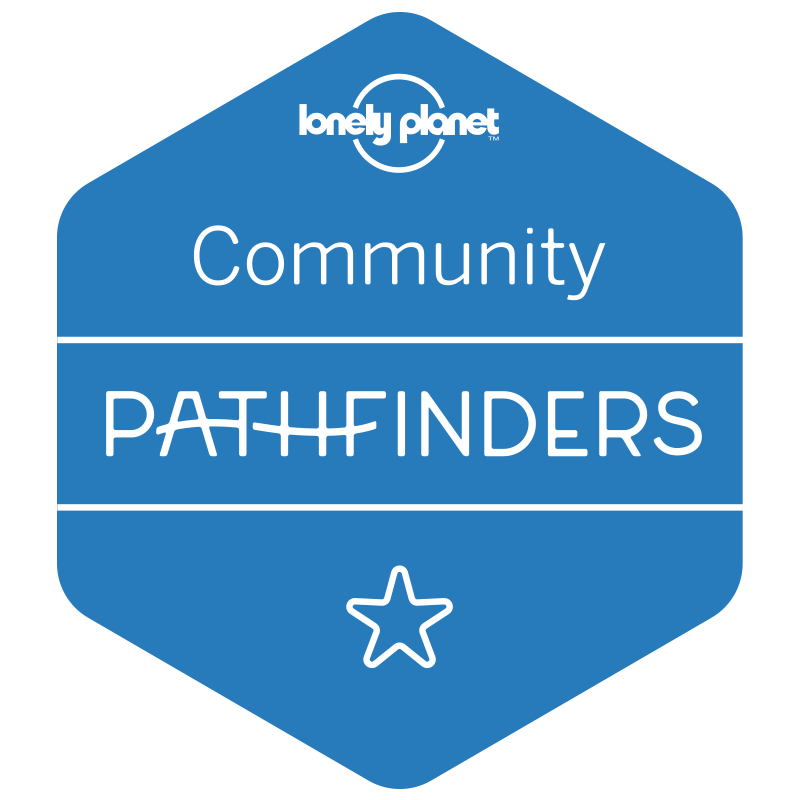 There is plenty to explore, just don’t forget your swimmers the nearest Target is roughly 500km west in Port Macquarie. Lagoon Beach is a picture perfect sheltered beach with Mt Gower as the backdrop perfect for kids to swim. 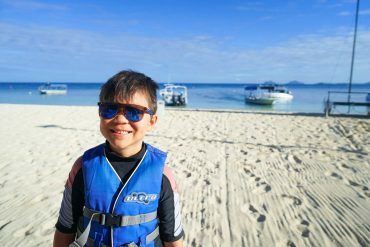 Kids can also snorkel safely as the clear turquoise lagoon is sheltered by a large coral reef with an abundance of fish. 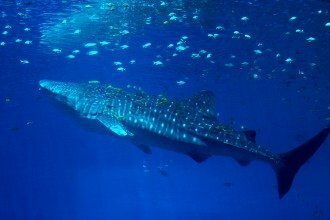 Take a cruise around the island and explore areas only accessible by boat such as North Bay, where you can spot manta rays and swim with sea turtles. Two thirds of Lord Howe Island is National Park offering many walking trails with varying grades and distances to explore the rugged beauty of the island. These trails take you to beautiful vantage points and through wildlife terrain where you can come up close and personal to the different sea birds that nest at Lord Howe. Similar to the Galapagos the wildlife on the island are not afraid of humans or their long lenses.